The Chinese is keen in manufacturing slimmest smartphones. By keeping this in mind they have been manufacturing R-series of handsets. They again expand this series with two more handsets naming R7 and R7 Plus. Earlier they launched a super slim model named R5. While closely looking to the specifications it is clear that the company is focused not only in making the handset slim but also to have high end features in the handset. R7 comes with an edge to edge screen size of 5 inches and R7 features a display of 6 inches. The thickness of the gadget measures to be 7.75mm thickness with an aluminium unibody. Managing this thickness they succeeded in packing a battery of 4100 mAh capacity within the handset. 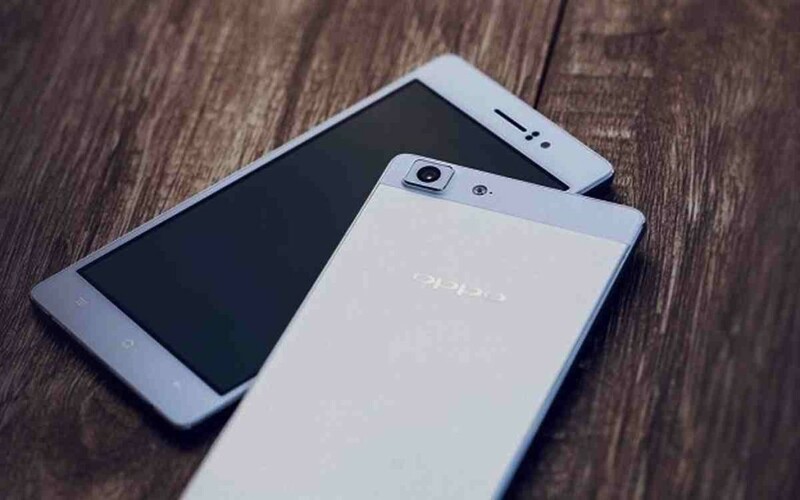 The unique feature accompanied with the battery of the handset is VOOC, which allows the battery to get charged faster than that of its competitors. Another feature that makes the handset unique is the single touch fingerprint sensor on the rear side of the handset. It has got a front cam with 8MP with f/2.4. The rear side cam is having a power of 13MP. It is coupled with features like RGBW sensor which gives better image capturing facility in dark and dim lights. Along with this the rear camera has got add on features like laser auto focus and dual tone LED flash lights. The processor that powers the handset is the Snapdragon 615 chipset with eight core capacity having a processing speed 1.5GHz. For having an excellent functioning of the handset the processor is coupled with a RAM of 3GB. The display is provided with a 1080 pixel AMOLED screen for better clarity. The handset also supports LTE connectivity. Gadget supports dual Nano SIM facility. The internal memory comes to be 32GB which will be enough to store apps and other things that make the gadget run. The smaller version of R7 comes with almost similar specifications like R7 Plus. But there are certain differences in its basic features. The internal memory in R7 comes to be 16GB but it can be expanded with the help of an external memory card. Another major dispute comes in the case of battery. The battery of R7 has the capacity of 2320 mAh capacity, which gets charged from 0 to 75% in just 30 minutes. The camera has got a single LED flash but the prominent feature of laser auto focus and fingerprint sensor is absent in R7. The thickness of the gadget measures to be just 6.3mm as against 7.75mm thickness of R7 Plus. Again it weighs only 147 grams. Unfortunate news for the users is that the R7 launches with Android version of 4.4, but the R7 Plus launches with an updated version Android Lollipop version 5.1. R7 will be available in the Chinese market from the next day onwards. They are priced at 2499 yuan which comes to be approximately $400. The handset will be available in the international market by mid-June. R7 Plus will be available for a cost of 2999 yuan which is approximately $480 but will be available by the end of August. Both the devices are cool and are having pretty good features.